Being part of the Real Housewives franchise has opened many doors and enables me to attend some amazing events. 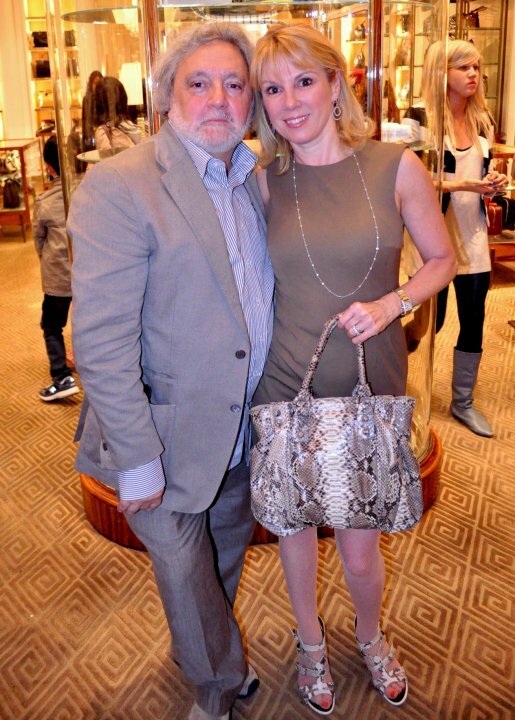 Last week I was fortunate enough to support one of my favorite handbag designers Carlos Falchi. Carlos Falchi and his daughter Kate Falchi launched their latest line of handpainted bags and clutches at Bergdorf Goodman. 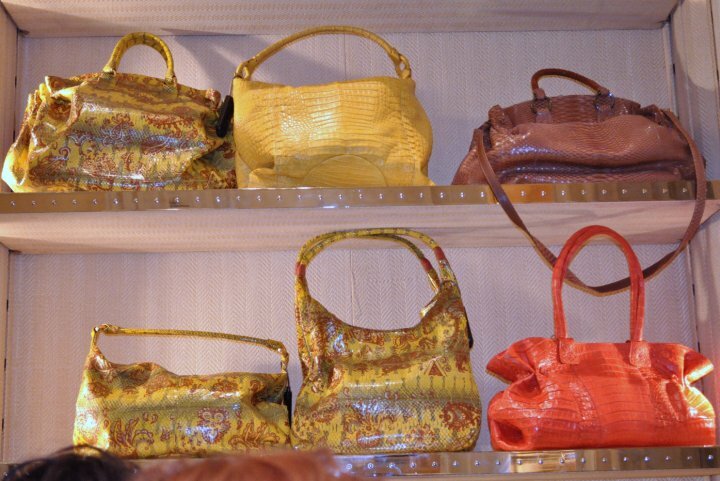 The event was amazing and upbeat with lots of fans and of course beautiful handbags. Trying on the latest designs and mingling with my friends and fans proved to be a great night! Let me know what you think about Carlos’s latest designs. Check out some great photos from the event including the photo with the designer Carlos Valchi as well as the photo of my self, Carlos and Kimberly Locke (former American Idol contestant). Elle.com is featuring my TruRenewal skin care in their April sweepstakes! The giveaway includes the Ultra Repair Cream with Algae Enzyme and the Ultimate Eye Repair with Retinol. Both products are absolute must haves for any woman wanting to renew her beauty regime. 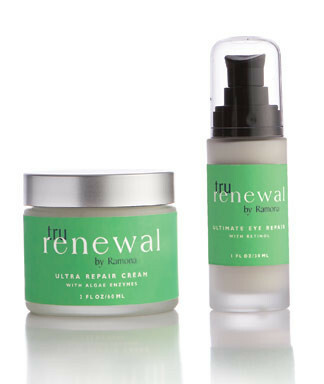 We believe in “making better” instead of “making over.” Introducing Tru Renewal, Ramona Singer’s skincare line that employs what the Big Apple Housewife calls “the answer” to all your skin product worries: green algae. The ingredient contains natural sources of vitamin C and provides valuable antioxidants that build collagen and reduce the look of wrinkles to help give you radiant and youthful looking skin. Enter our Tru Renewal sweepstakes, and you could win the Ultra Repair Cream with Algae Enzyme and the Ultimate Eye Repair with Retinol, a combined retail value of $138. The Repair Cream is an age-defying cream for all skin types that stimulates collagen synthesis for firmer, younger-looking skin, and the Eye Repair serum reduces puffiness, dark circles, and pesky eye lines to give your pretty peepers a nice rewind-in-time. Contest ends May 2. One entry per day allowed. Hope everyone had a great Easter! I took some great photos in the Hampton’s which I’ll be posting soon. So glad the weather is spring like on the East coast. I had lunch outside with friends yesterday. 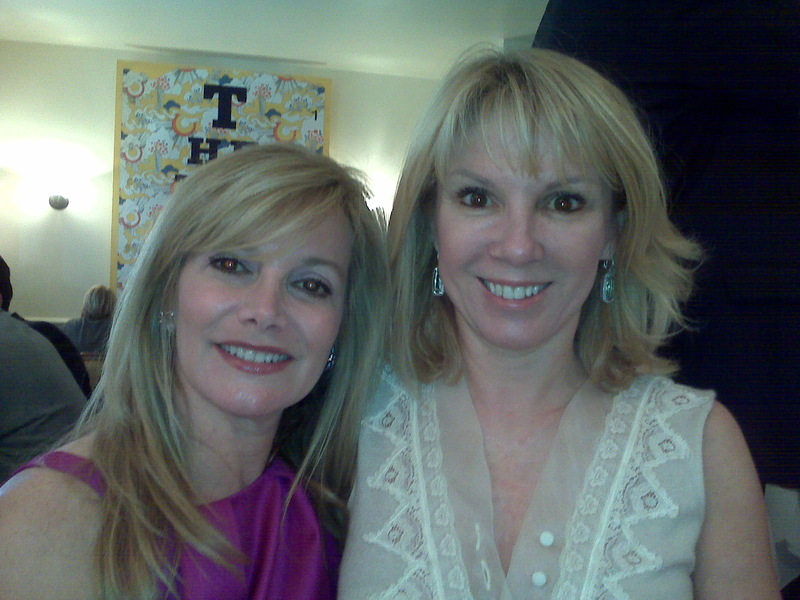 Here’s a pic of me and my dear friend Marla on her birthday. This was a prep for the real surprise party I’m having for her later this week. Check me out in this clip for better tv heres the link!